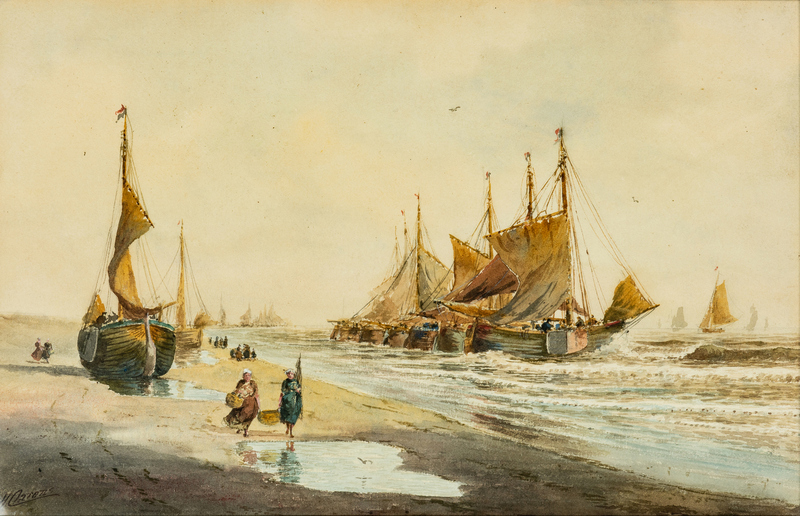 Two (2) Continental School watercolors, both signed H. Aarons. 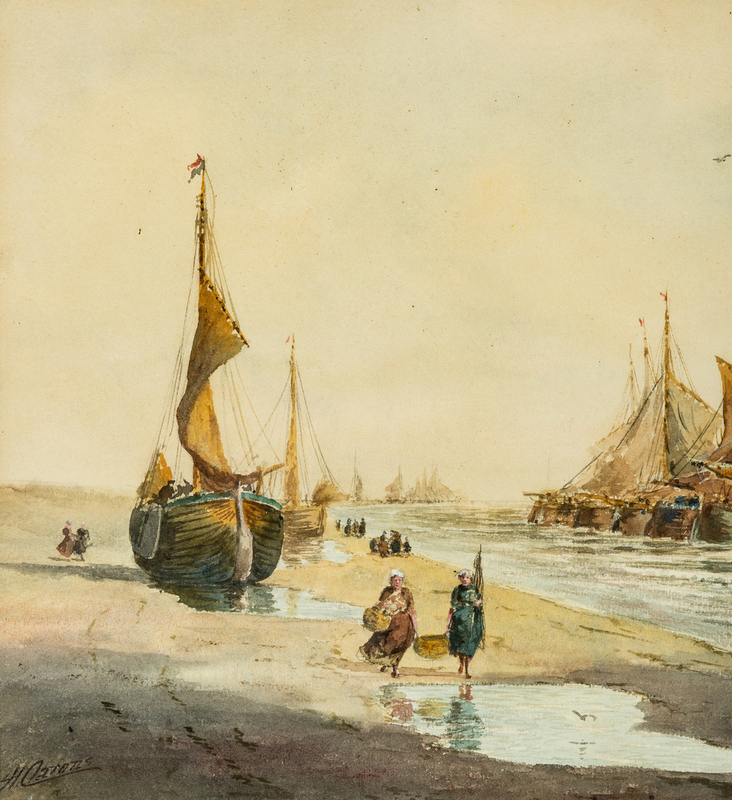 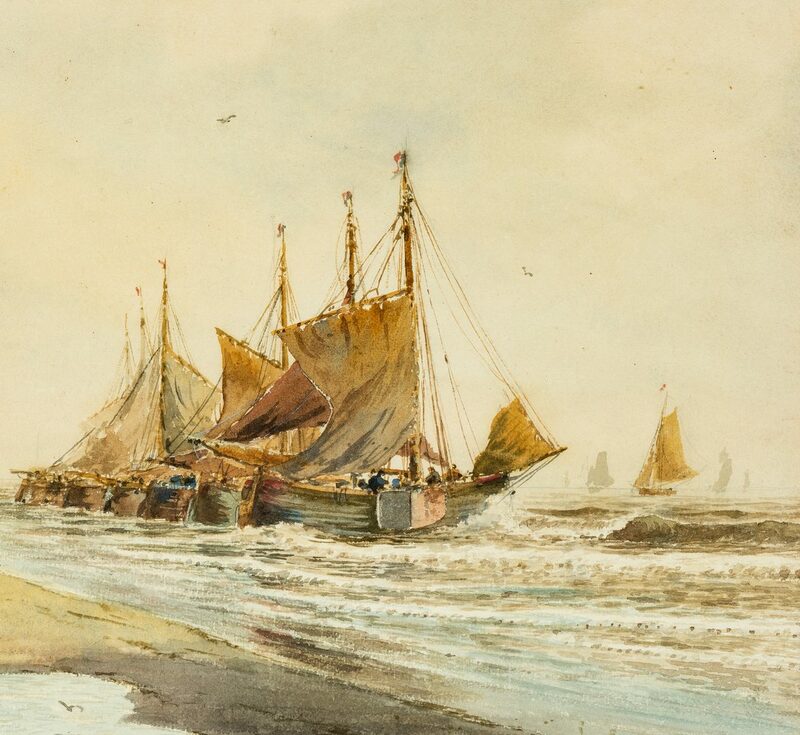 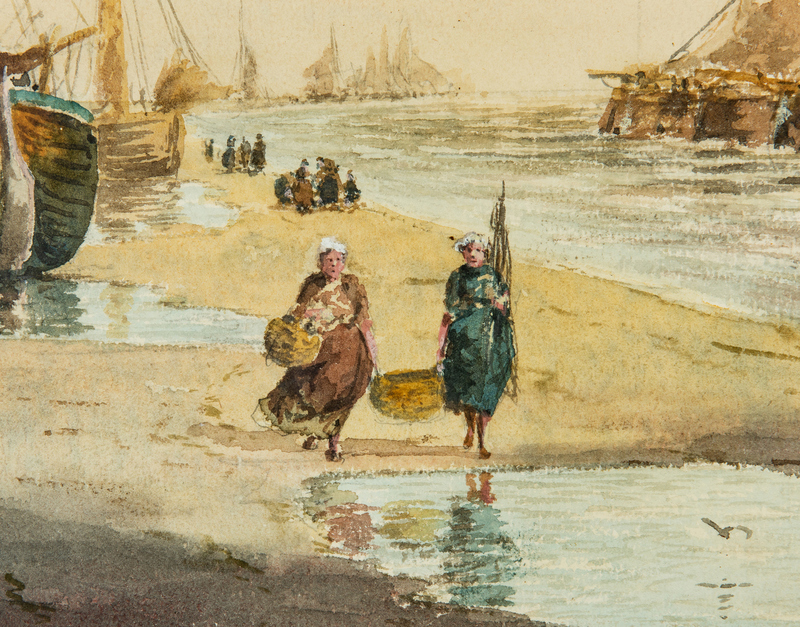 1st item: Watercolor on paper painting depicting fishing vessels on shore with groups of women gathering the catch. Signed lower left. 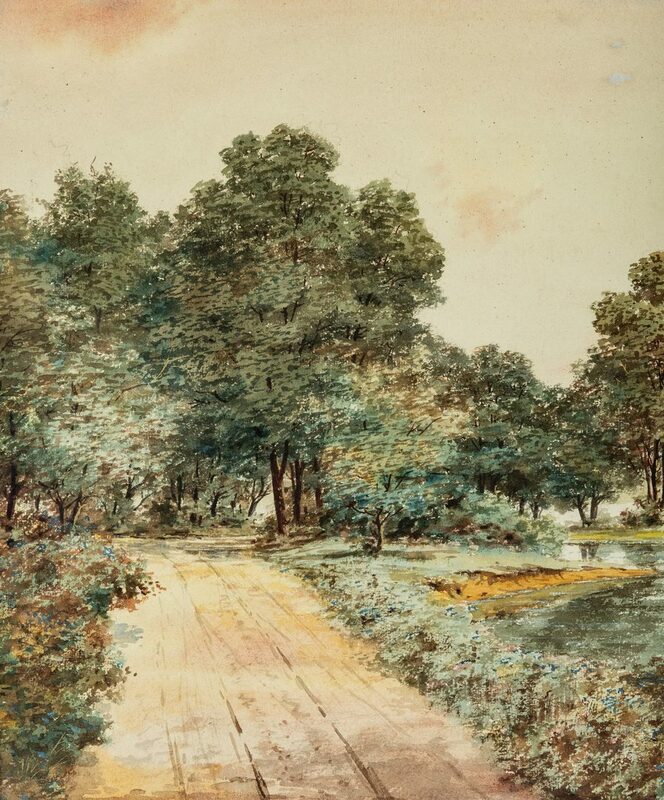 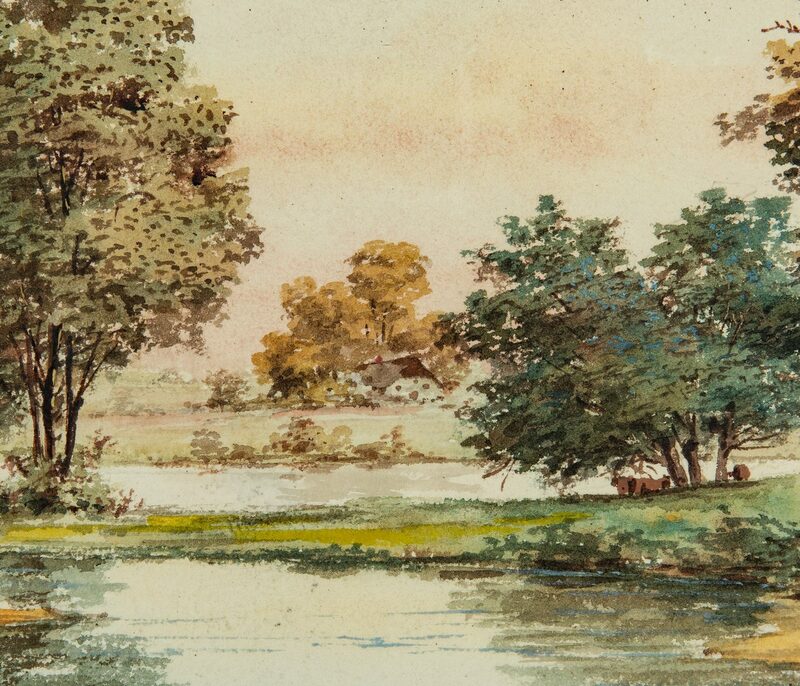 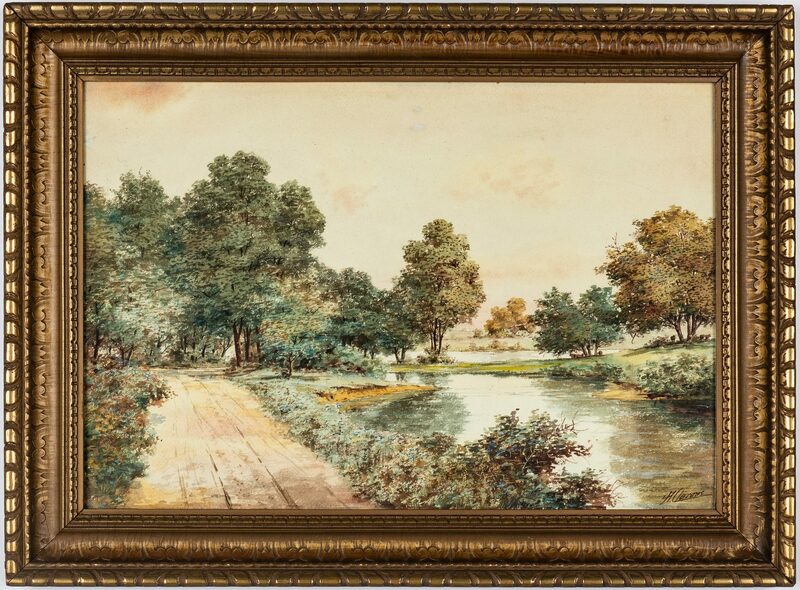 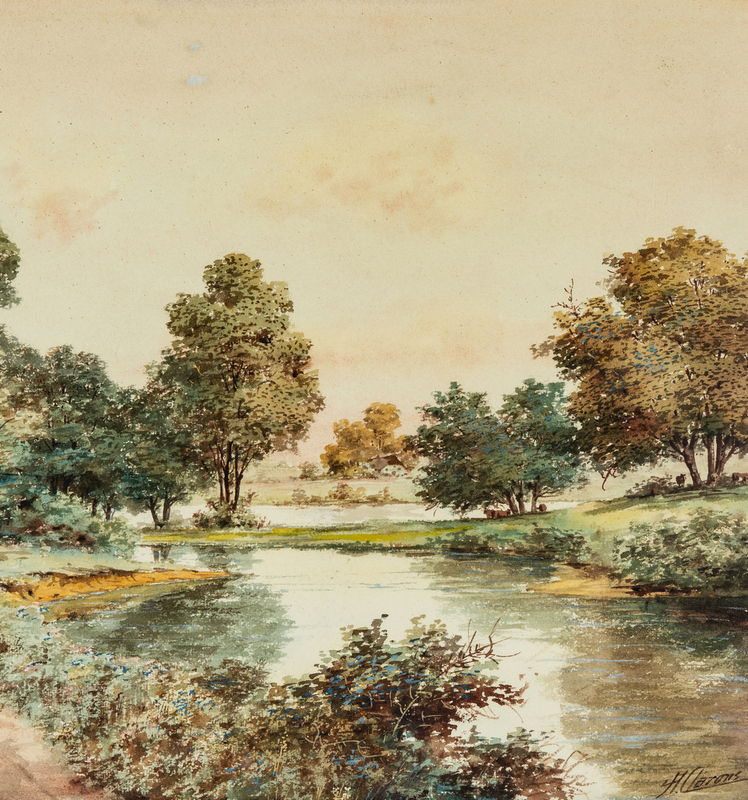 Sight – 15 1/2" H x 24 3/8" W. Framed – 21 3/8" H x 30 1/4" W. 2nd Item: Watercolor on paper painting of pastoral landscape with dirt road and pond in foreground and homestead and cows in pasture in distance. 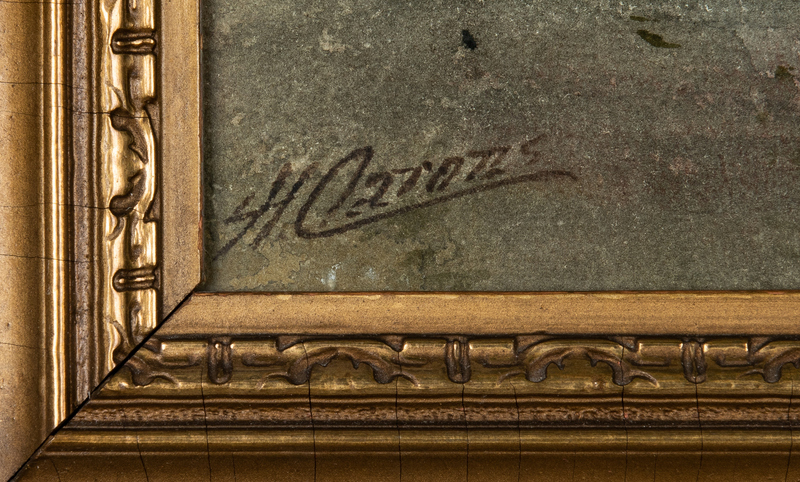 Signed lower right. 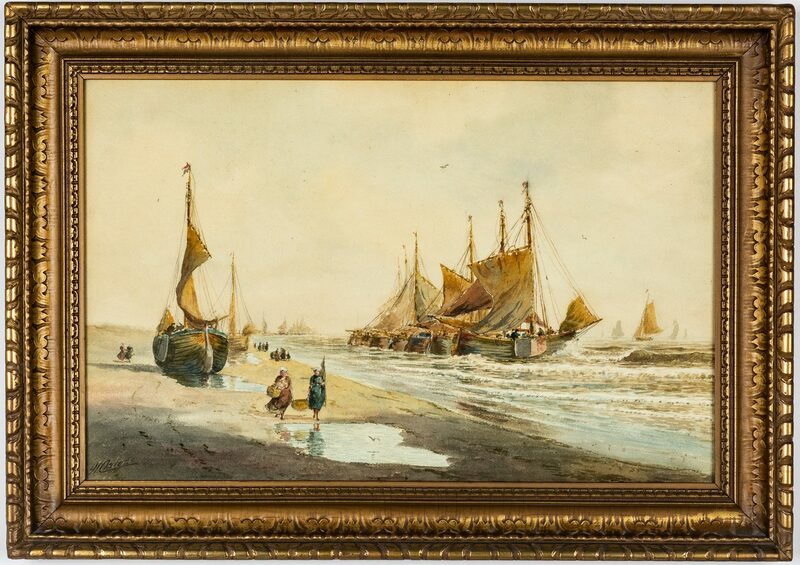 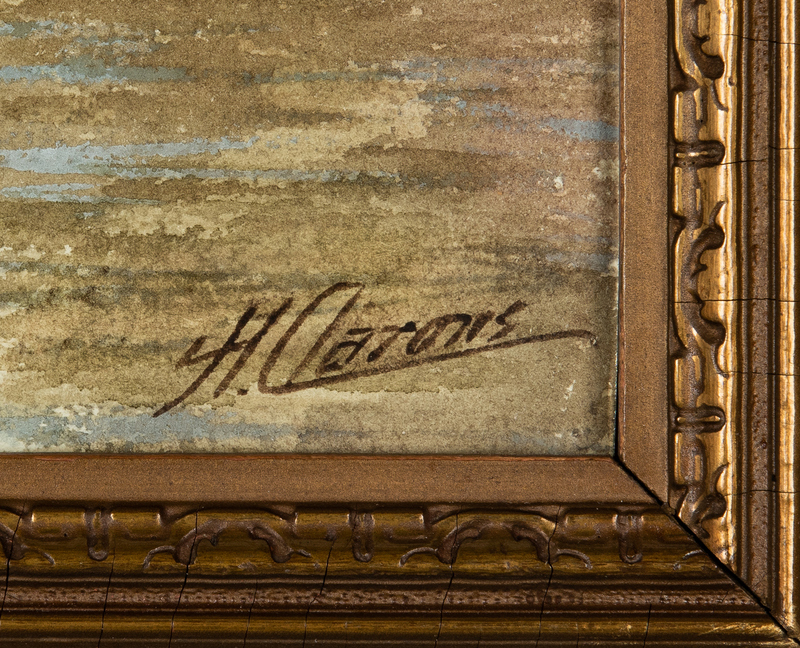 Sight – 16 1/2" H x 24 1/2" W. Framed – 22 3/8" H x 30 3/8" W. Both paintings framed in same gilt molded frame. 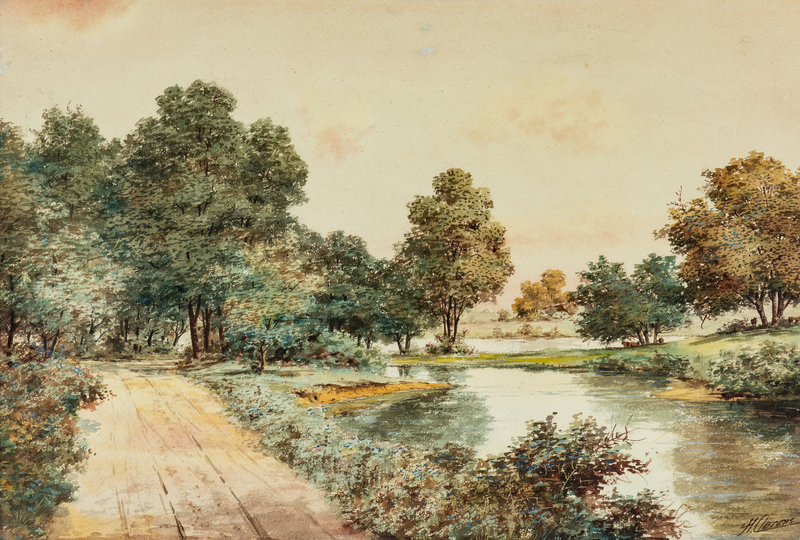 Continental, late 19th/early 20th century. 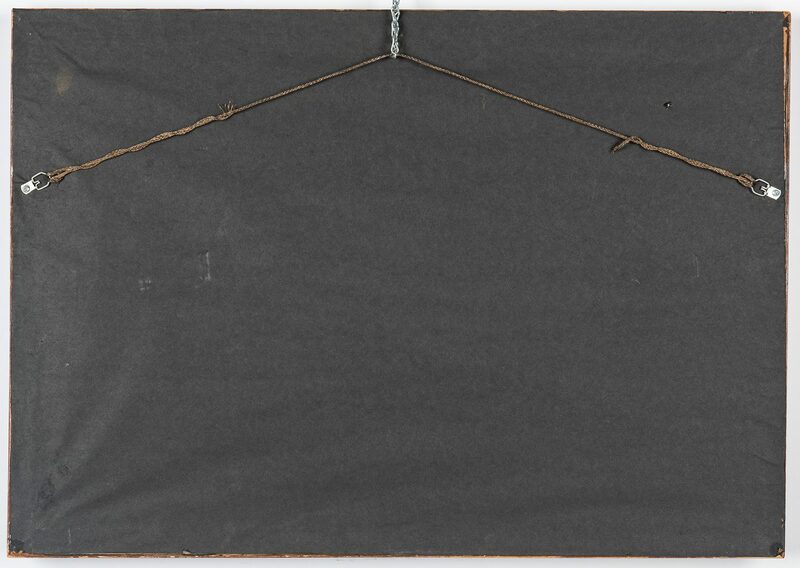 CONDITION: 1st item: Slight toning to paper. 2nd item: Two white accretions at center top, largest measuring approximately 1/4" x 3/8".